Categories and Tags are two useful tools for organising the contents of your WordPress blog or site. Depending on the nature of your content, you might end up using one or the other, or even both of them simultaneously. It is important to make the choice early on, preferably from day 1 to avoid complications later on. One must also be careful of the effects that this choice has on your site’s SEO. But before we get to that, let’s try to understand what Categories and Tags actually are and how they should be used. Categories are more of a traditional organisation tool, similar to folders on Windows or drawers in real-life. In a category we can put articles that are all about some general topic, on this very site, for example, content is organised into categories like Articles, Hacks, News and Plugins. Thus all the plugin reviews I write will go into the Plugins category and so on. It is also quite common to find phrases used as category names (2-5 words), whereas for tags we usually use one or two words at most. Categories are best used sparingly to group together posts on a general topic basis. Tags are used to label a particular post with important related keywords. If used in conjunction with categories, they can help your readers zoom in on particular areas of interest. For example, I might use a tag named ‘SEO’ and I might apply that to some SEO-related plugins in my ‘Plugins’ category, as well as to SEO-related articles in the ‘Articles’ category. As you might have noticed, tags have the ability to work across different categories, so my ‘SEO’ tag will in fact have posts that reside both in the ‘Plugins’ and ‘Articles’ categories. In essence, tags can be thought of more specific labels for your posts, while categories are more generic. 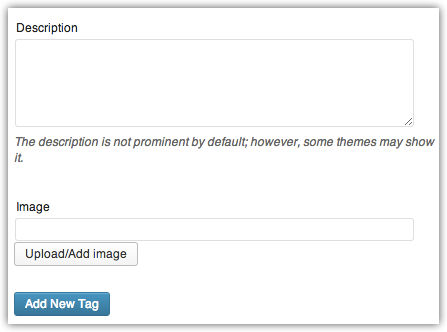 I must also point out that usually there are a limited amount of categories in a blog, but you can have many more tags. However it is good to know that category is seen as being more important in Google’s eyes. Think well before you start out and make a plan for organising your site’s content, then stick to your plan and always use categories and tags in a sensible manner.